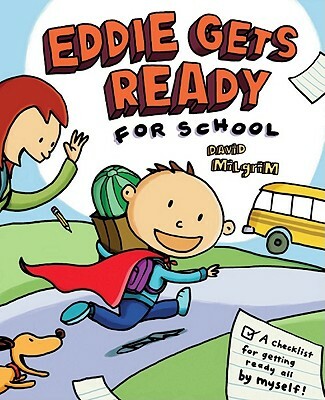 Fall in love with Eddie as he gets ready for school! Now that Eddie can get ready all by himself, his morning routine is anything but ordinary! [ ] run like mad to catch bus! With understated humor and uproarious illustrations, David Milgrim's first checklist book gets you to school on time, and in a great mood. David Milgrim is the author/illustrator of several books, including My Dog, Buddy and Cows Can't Fly, an IRA/CBC Children's Choice Award winner. He lives in Northampton, MA with his family. Visit his website at www.davidmilgrim.com.